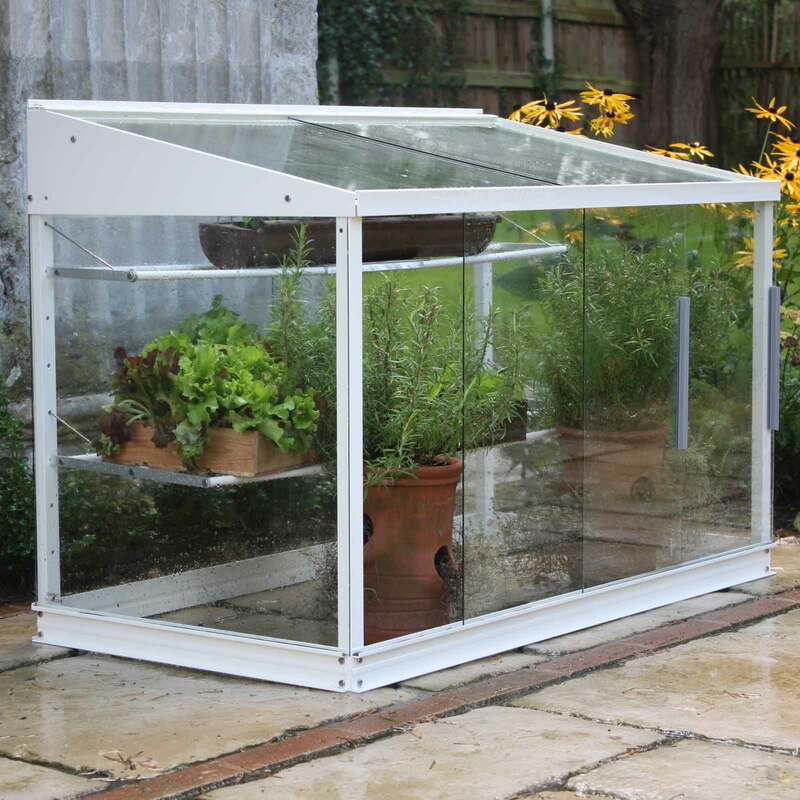 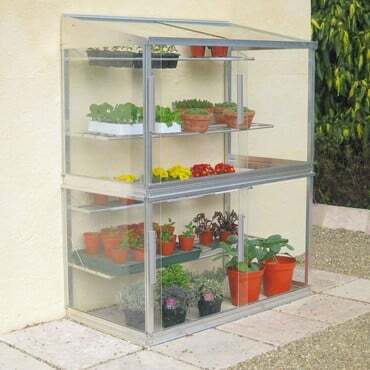 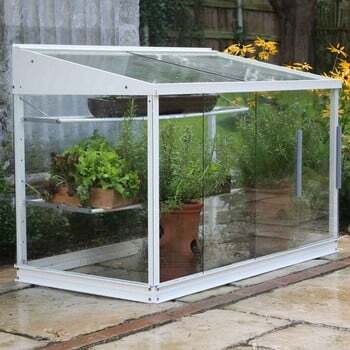 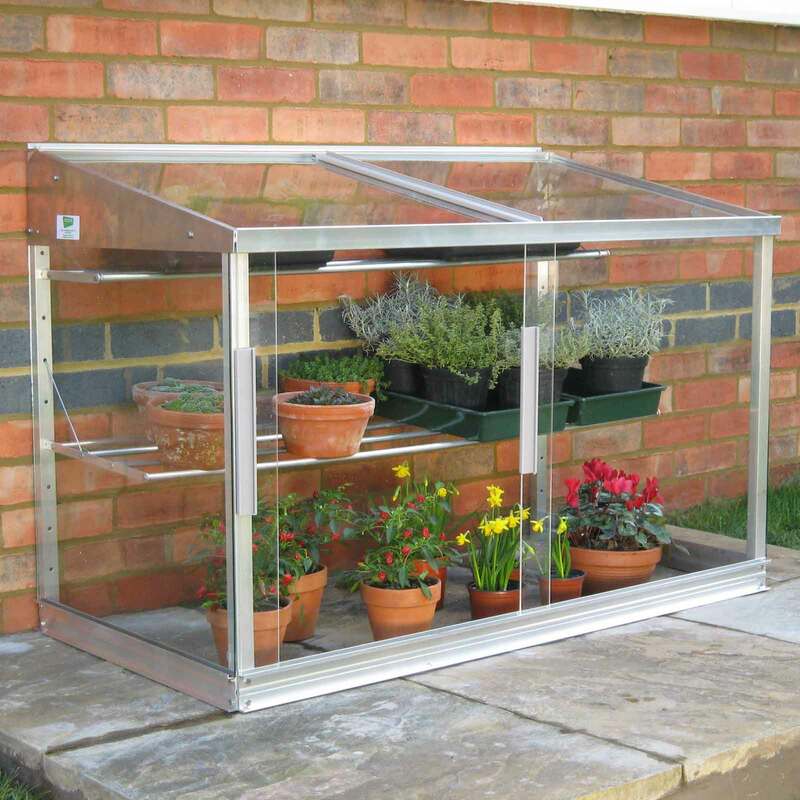 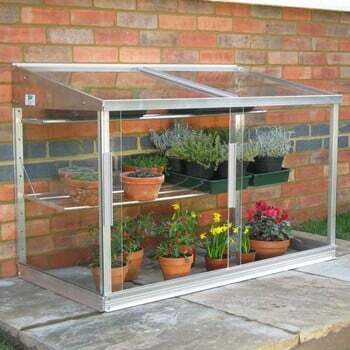 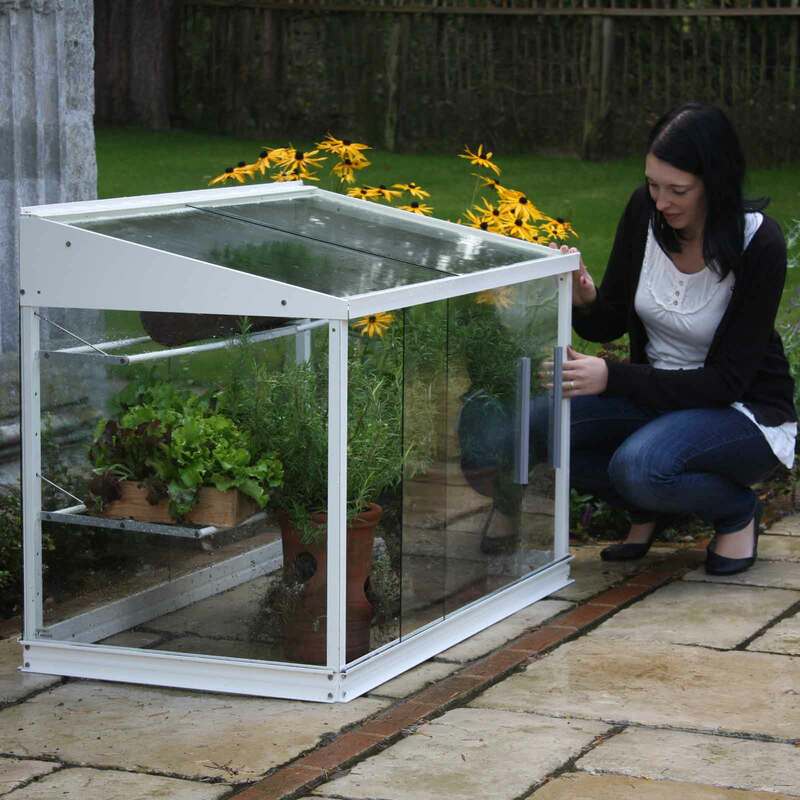 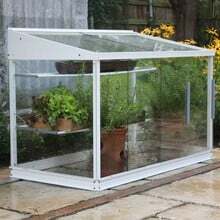 Make the most of walls and patios in the garden and the heat they store with this stunning Lean-To Cold Frame; an aluminium framed, toughened glass glazed structure which will give essential winter, spring and autumn protection to plants. 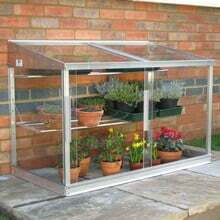 Space limitations are no longer a factor with the half height (0.82m), 1.2m long by 0.63cm deep frame with the two shelves (one narrow, one deep) supplied as standard and the 25 year framework guarantee tells you all you need to know about the build quality. 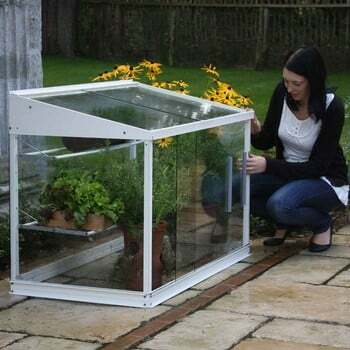 3mm thick toughened glass sliding front and roof panels give plenty of ventilation options and can be easily removed for cleaning, the framework is also available in very popular Antique Cream and with assembly simple (one screwdriver required and full instructions provided), this is one lean-to cold frame to cherish. 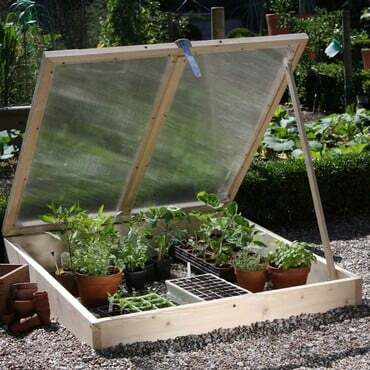 Top Cold Frame Tips from our Daily Express-published horticulturist and photographer Martin Fiddes; "A cold frame is a real asset to any garden. 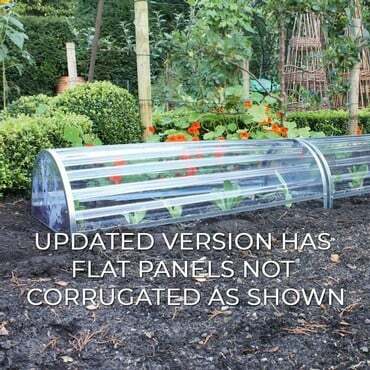 Not only can you use it to harden off or acclimatise greenhouse-raised plants prior to planting out; it also forms an excellent 'hot house' early on in the summer for peppers, tomatoes and squashes and it's perfect for overwintering tender plants, cuttings and autumn sown annuals - a real all year rounder!